It’s almost February, which means the first major retail holiday in many countries is just a few short weeks away. Valentine’s Day, which dates all the way back to Roman traditions, is a holiday devoted to love, experiences, and gifts. The holiday is changing rapidly though, and if you’re wondering how to change your retail business with it, you’re not alone. 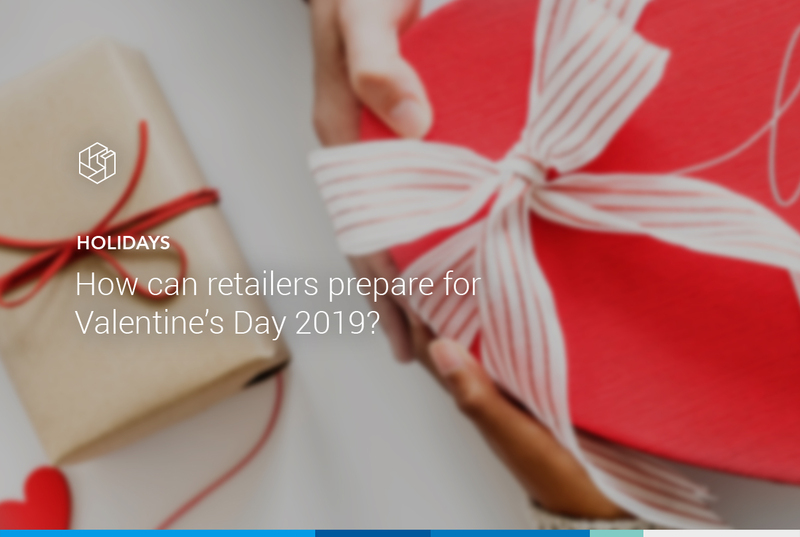 How can retailers prepare for Valentine’s Day 2019? This year, the key is to focus heavily on customer experiences — both in your store and offline. In this post, we’ll give you 3 practical tips on how you can prepare for the holiday. Many consumers are tired of the over-commercialization of Valentine’s Day. In a 2018 survey, 77% of UK consumers said they thought the holiday was too focused on consumerism. When paired with changing social structures, many consumers feel that the holiday is outdated in some ways. However, that won’t stop consumers from spending. The same survey found that even though consumers felt Valentine’s was an artificial holiday, UK spending for the holiday in 2018 was up 3.2 points compared to 2017. The same was true in the US, and this year alone the National Retail Federation expects Americans to spend over $20 billion on the holiday. These two opposing forces (changing consumer attitudes but overall increased spending) means there is a lot of opportunity in Valentine’s Day. There is a growing shift toward experiences and personalization in Valentine’s shopping, as well as an overall broadening of the market. So how can retailers get behind these trends? Here are our top 3 tips to get ready for Valentine’s. As a retailer, this shift toward experiences should trigger “omnichannel” in your mind. Instead of simply selling to consumers, create an experience they can buy into — one that extends beyond their screen and into the real world. One way to create these experiences is to partner with other companies that complement your assortment. If you’re a jewelry retailer, for example, you could partner with a local restaurant to include a complimentary 3-course Valentine’s Day dinner with each purchase. Want to know more about building a better omnichannel strategy? Check out our recent blog to find out how to win at omnichannel retail. It’s true that Valentine’s Day has traditionally been about romance, but this has shifted in recent years. A great example? A 2015 report found that over 21% of Americans planned to buy Valentine’s Day gifts for their pets. And while they were only planning to spend an average of $5 on their animal, that added up to over $700 million in additional sales. There is also the growing trend for women to buy “Galentine’s Day” gifts for friends, and many retailers have noticed an uptick in the number of self-care purchases that people make for themselves for the holiday. Consumers now see Valentine’s as a day to celebrate love of all types, which means you now have multiple audience primed to spend. Embrace this and adjust your marketing and advertising accordingly. The easiest way to manage this is with an intelligent marketing automation software that can follow the market, then adjust your bids on Google Shopping and other channels automatically as opportunities arise. To properly prepare for Valentine’s Day, you should plan your marketing ahead of time. This means knowing which products are going to be most popular is crucial. Historically, categories like jewelry, flowers, candy, and clothing have performed exceedingly well on the holiday, and these trends are expected to remain stable in 2019. If you haven’t started campaigns yet though, there’s no need to worry. Most people procrastinate on their Valentine’s shopping. As many as 32% of consumers purchase gifts the same week as the holiday, and the number of online searches for Valentine’s-related terms peaks on February 12th! While there is still time to prepare profitable strategies, the small shopping window means that the process of managing prices and marketing will take a heavy toll on your staff. Like on Black Friday, tracking and adjusting your prices manually in the few days before Valentine’s Day is a waste of time. Many teams devote huge amounts of energy to chasing competitor prices, adjusting your own prices, then updating your marketing to reflect this new pricing. When prices change multiple times a day, this becomes a full-time job for many people on your staff. You can use automation software to give your team hours of their time back: time which they can then focus on strategy. A pricing insights software like Pricewatch is the easiest way to get started, and it delivers an up-to-date report of your competition’s prices multiple times throughout the day. Your team then just needs to update the prices according your strategy. Automation can save even more time with dynamic pricing, which can automatically adjust the prices for you based on predetermined business rules. Your team just needs to monitor the changes — not enter them manually. Whether you want to experiment with a new omnichannel strategy, collaborate with local partners, market your new feline fashion line, or more, use Valentine’s Day as a chance to try something new. However, it’s important to think carefully about what the customer wants, then build tailored, personalized experiences to drive sales. However, none of these creative pursuits are possible if your team is wasting time manually tracking and adjusting your Valentine’s marketing and pricing. That’s why you need automation tools to liberate your team so they build the experiences that consumers are actively seeking. Interested in automation tools? Don’t wait. Get in touch today to set up a free demo of Pricewatch before Valentine’s Day, and see for yourself what’s possible when you aren’t chasing competitor prices.